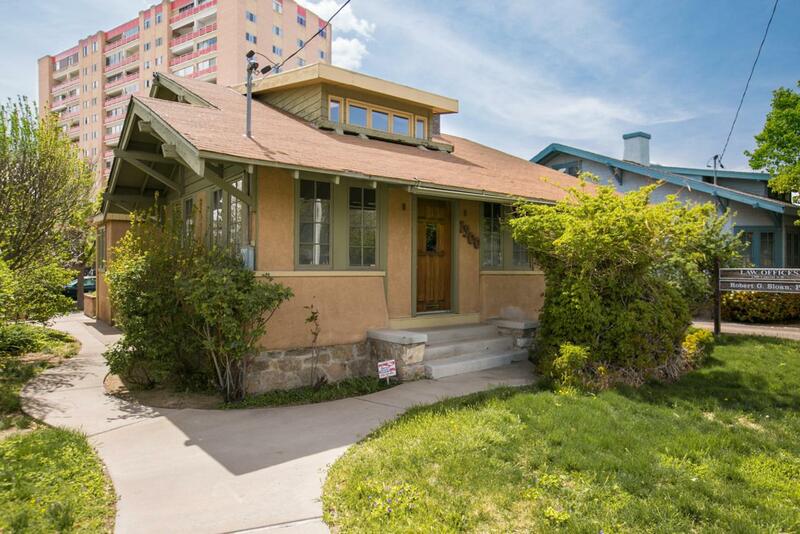 Great property located in the heart of Downtown Albuquerque. Multi use, could be live/work space, law office, day spa, be creative!All of the vintage touches that are perfect for a remodel.Charming and omate professional office building in the Historic Downtown/Old Town district next to the famous Dog House! Converted single-family residence on a shared lot. Sale conveys the building and 27.76% of Lot 46. Two story building with five private interior offices, (three downstairs, two upstairs), large conference room with optional conference room or extended break room, kitchen, formal entry or waiting area. Pull up the carpets to reveal hard wood flooring.